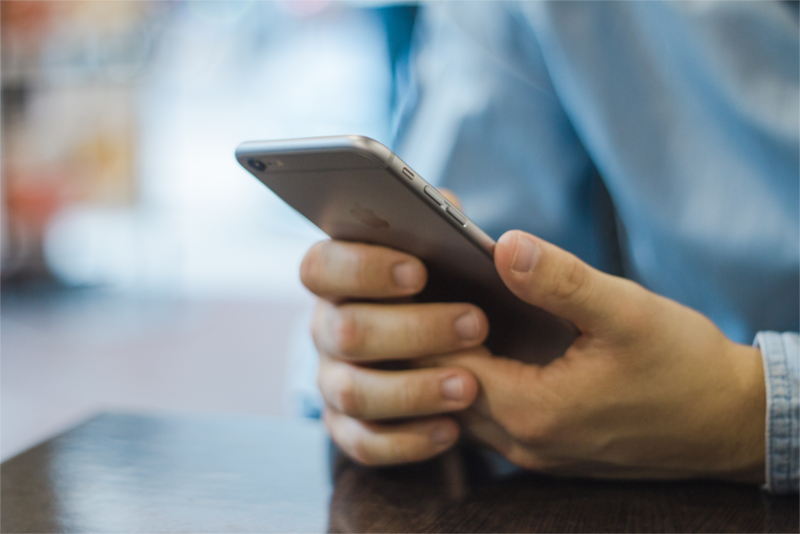 Do All Businesses Need Their Own Mobile App? Just a few years ago, it was as if every entrepreneur wanted to own their own mobile app. But now that competition is stiffer than it used to be, people in the space have to ask themselves a very basic question: Do they really need an app?… and why? Let’s look into that a bit. The answer really depends on what type of business you’re in and what you’re trying to accomplish. Even in spite of today’s competitive landscape, we’re still seeing tons of apps making their way to the store daily. Companies like ours continue to make them for the same reason we’re still building web products and websites in an even more crowded environment: better access to customers. A common misconception we hear a lot these days is that mobile apps should work as a standalone business. While there are indeed examples of standalone mobile apps that have done extremely well (Instagram, Whatsapp etc), a lot of successful mobile apps actually serve to complement, extend or enhance an already existing business. This is something we see first hand at our agency. A lot of our most successful clients are business owners who use their apps to establish a better connection with their customers, and not necessarily as a standalone business. For example, Tucker, a project we’ve developed for a major real estate company in the US, already had a successful web platform and widely spread local presence before they ever built an application. So the question then is, if you’re already present on the web and locally, why do you need to be on mobile too? Mobile device penetration has long surpassed desktops and continues to grow as desktop use has gone on a persistent downward trend. A whopping 3.6 bilion people have access to a mobile device. More than just usage, it’s a matter of convenience. People today use their smartphone, on average, more than they use their laptops or PC. Mobile apps are then the best way to ensure that your business is available at the exact time and place your users need it. When you make your products and services accessible to people from their mobile device, you put your entire business in palm’s reach. Remember that old marketing saying, “Location, location, location”? It was especially popular before the start of the internet age, as it referred to how important it is for a business to have good placement. Well today, your location can be virtually anywhere your customers are, all thanks to smartphones. So why is it that some companies still aren’t taking advantage of this game changing opportunity? In part, it’s because a lot of us have gotten used to thinking about mobile apps in terms of products like Instagram, Snapchat and Candy Crush, and less in terms of products that simply enhance existing businesses. Instead, we tend to opt for the quicker solution to mobile penetration, which is through responsive websites. Now, that’s not necessarily a bad place to start, but something we know from working with our own experienced web department is that responsive websites or hybrid mobile apps just can’t come close to offering the same smooth user experience you get from native apps. If you’re not familiar with the terms, native mobile apps are the ones you download from the App Store and are always optimized for a specific operating system (iOS and Android in most cases). 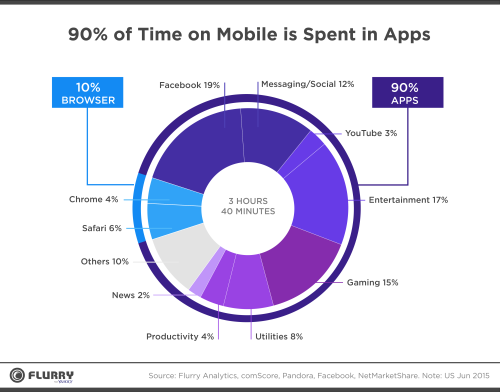 Not only that, but according to a study conducted by Flurry Analytics, people spend 90% of their time in apps, and only 10% in their internet browser. So if you want people to stay with you longer, apps are the way to go. Ever notice how when you navigate to a popular website, you get a prompt that asks you to install their mobile app? People do this because they know that if you use their native app instead of their responsive website, you’ll enjoy a much better user experience. In turn, this helps them deliver higher conversion rates, retain more of their customers, improve satisfaction and lower cart abandonment in the case of ecommerce stores. So the answer to that first question, “Do you really need a mobile app?”, ultimately depends on your business. But, in most cases, a business that uses its own mobile app to complement its existing revenue model has a powerful advantage over its competition and a closer connection to it customers. – Book tables at your restaurant. – Take the best and most used features from your web and desktop products to deliver a mobile-friendly pocket version. – Give your users access to location-sensitive content.